One of my favorite fall activities is apple picking. 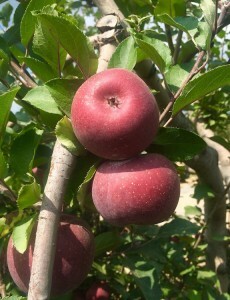 There’s something about plucking big, juicy apples from towering branches that brings out a childish joy in me. I always come back with a peck or more of fresh, sweet fruit that I know I’ll use for something delicious at home. 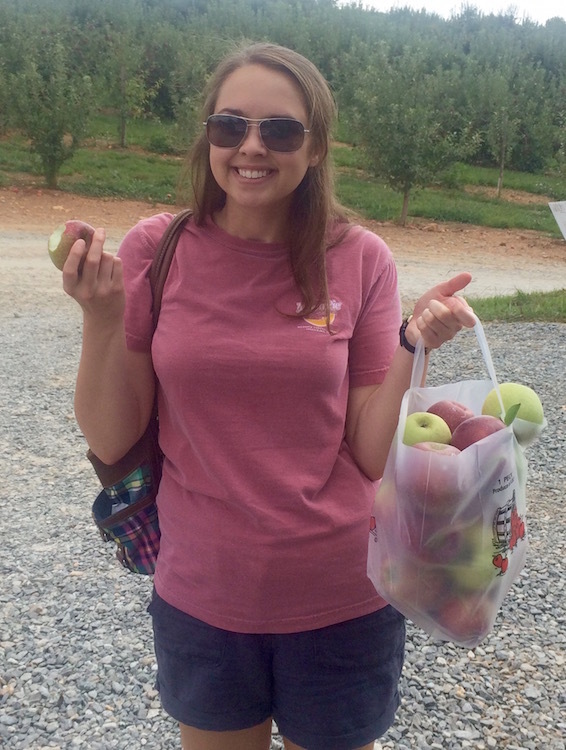 Earlier this fall, I went apple picking at an orchard in North Georgia. I used half of my bounty for crock-pot applesauce, which is one of my favorite apple recipes. But as of a couple weeks ago, I still had about ¾ of a peck left. I wanted to try something new with those. 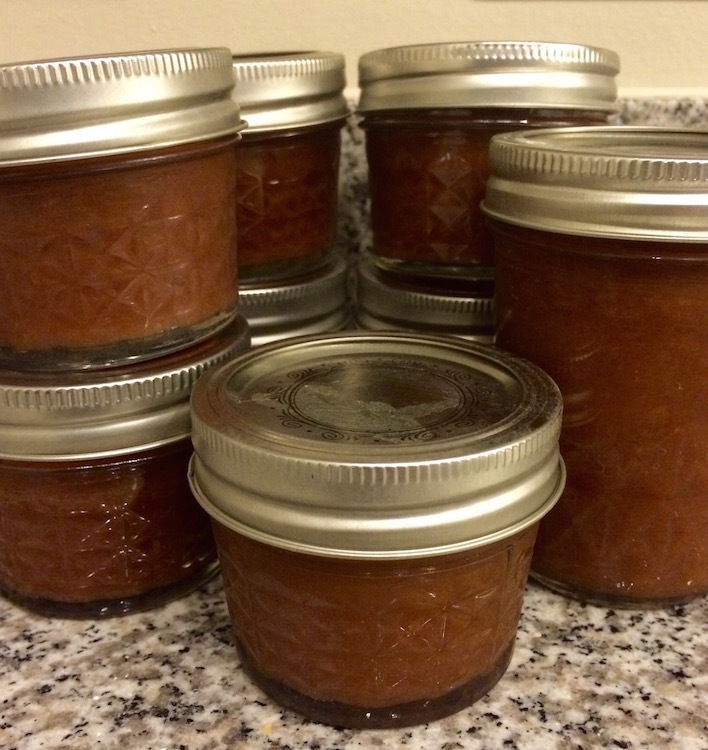 So I channeled my great-grandmother and made apple butter, and taught myself how to can. All in one day (well, technically two days, since the apple butter sat in the crock-pot overnight). I’d been wanting to try canning for a while. Our family friends make homemade jam in the summer with fresh-picked fruit, and they always share with us. But I’d never bitten the bullet and tried it myself. All the supplies are expensive, especially for someone on a budget. Fortunately, I grabbed some mason jars on sale at Michael’s and JoAnn’s and stocked up. There’s no such thing as “too many mason jars.” There’s always a use for one. Apple picking at R & A Orchards, Ellijay, Ga. I had absolutely zero idea what I was doing: how do I prepare the cans? Do I have to heat them? How do I even make apple butter? Is there butter in apple butter? (There is, in fact, no real butter in apple butter.) So, to Pinterest and Google I went. My great-grandmother wouldn’t have had that luxury, but I did, so I used it. Canning in a boiling water bath didn’t sound too difficult, albeit time-consuming, and it beat using a pressure-cooker type apparatus. I settled on that method, and then searched for a reasonable recipe. Fortunately, almost anything can be made in a crock-pot, including apple butter. I found a good starting point and added my favorite spices and flavors to put my own spin on the recipe. Spray your crock-pot with cooking spray to prevent sticking. Peel and chop apples, and put them in the sprayed crock-pot. Add spices, and pour water over the apples. Stir well, so that the water and spices cover the apple chunks. Set your crock-pot on low, cover and let it go for at least 8 hours. Overnight is best. After 8 hours (or the next morning), crank it up to high, prop the lid open with a spoon, and let it go for another 3-4 hours. Don’t stir it. Just let it cook down. Once the apples are cooked down and take on a medium brown color, turn off the crock pot. Stir until the butter reaches your desired consistency or chunkiness. Can according to your preferred method. I like my apple butter smooth, so I whisked it until it was smooth. An immersion blender would do the trick, too. If you prefer chunkier apple butter, give it a good, careful stir, and leave the butter at your desired chunkiness. The finished product is delicious on a warm biscuit, or swirled in a bowl of oatmeal. 14-ish hours later, I ended up with 10 cans of apple butter. 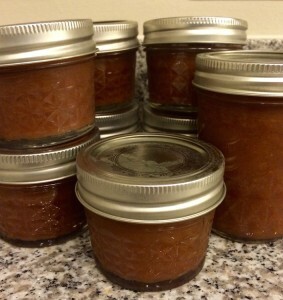 Fortunately the holidays are around the corner, and little cans of homemade apple butter will make a wonderful gift. My great-grandmother would be proud, too. For my first-ever batch of apple butter, it turned out pretty delicious. That’s pretty Southern, if you ask me.